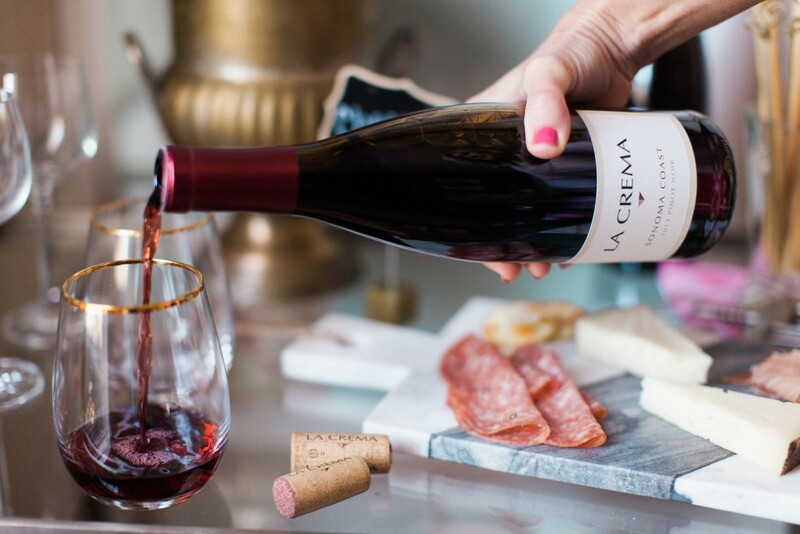 Some combinations are just a match made in heaven…popcorn and milk duds (#trustme), peanut butter and jelly, a book and a fireplace, and La Crema wine and Wisteria. Wait, what?! That’s right, La Crema and Wisteria have partnered together and are giving you the chance to win Wisteria’s gorgeous Mixer’s Bar Cart and Marble Cheese Board! If you haven’t entered yet, make sure you do because it’s one killer combo for at-home entertaining. 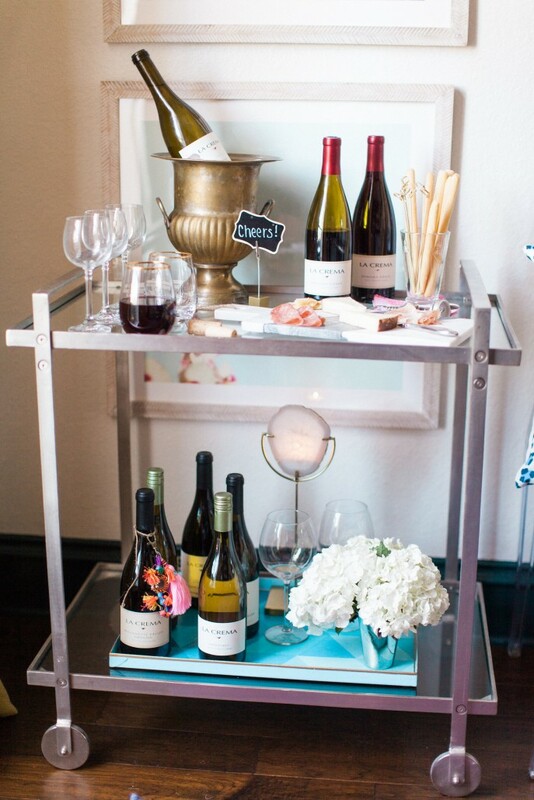 But first, let’s talk styling a wine cart (a.k.a. 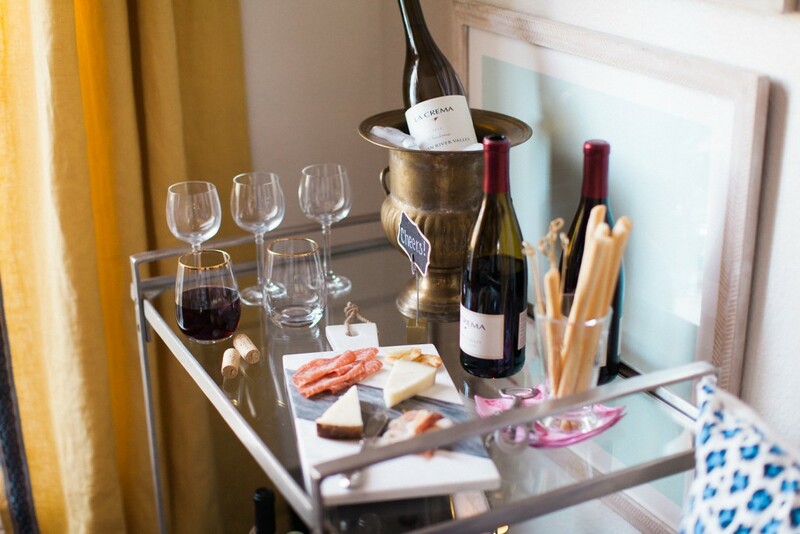 a bar cart). It’s a great accent piece of furniture that can serve more than one function for any occasion. 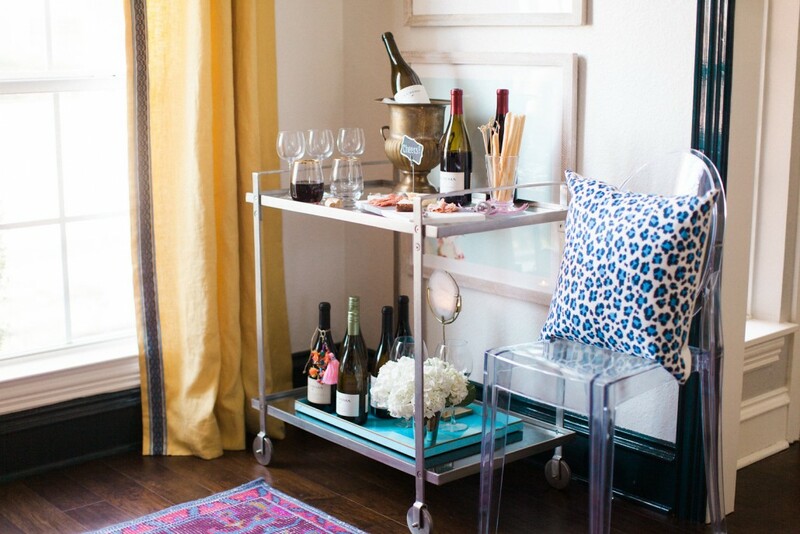 Wine carts provide chic areas for styling, but they’re actually useful pieces of furniture for entertaining. 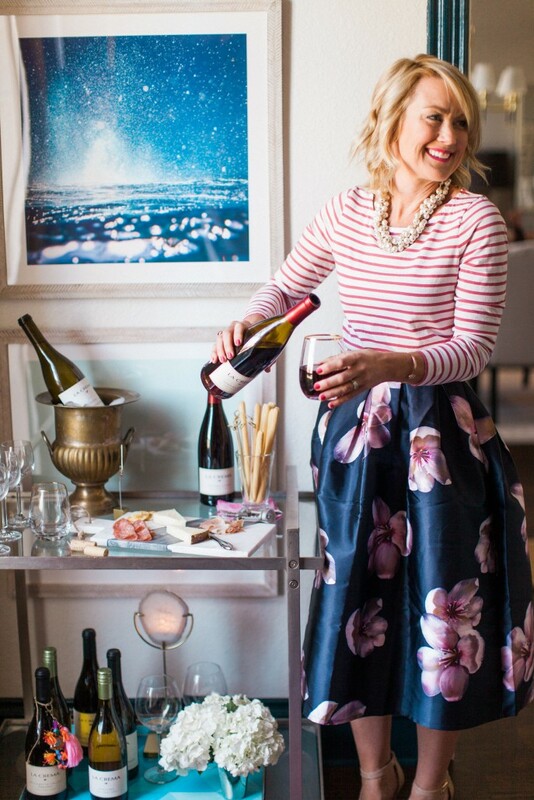 Using Wisteria’s Mixer’s Bar Cart, I created two set-ups to show you how I use them for both entertaining and everyday. Head over to my blog for the everyday tips. 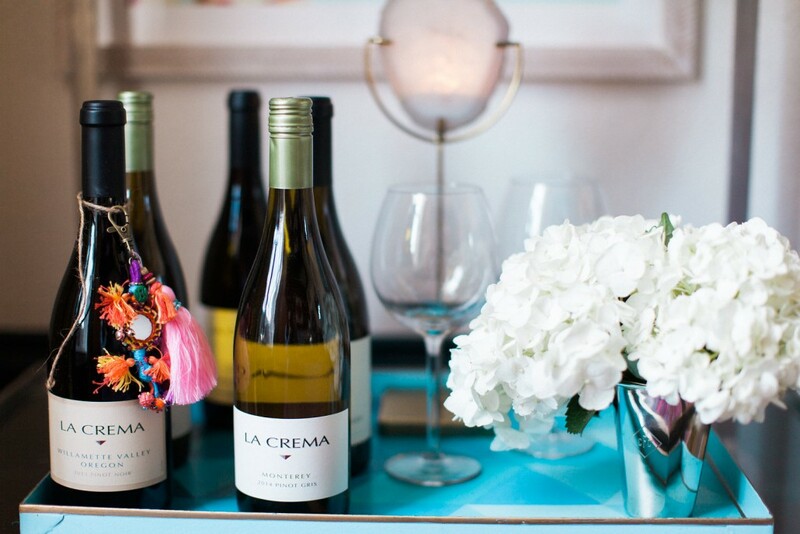 We typically stick with just wine and beer for parties, and you can never go wrong serving La Crema wine…it’s definitely a family favorite (it’s all my sister served at her gorgeous Mountain River Wedding)! Then I stocked it with wine, glasses and a few snacks. 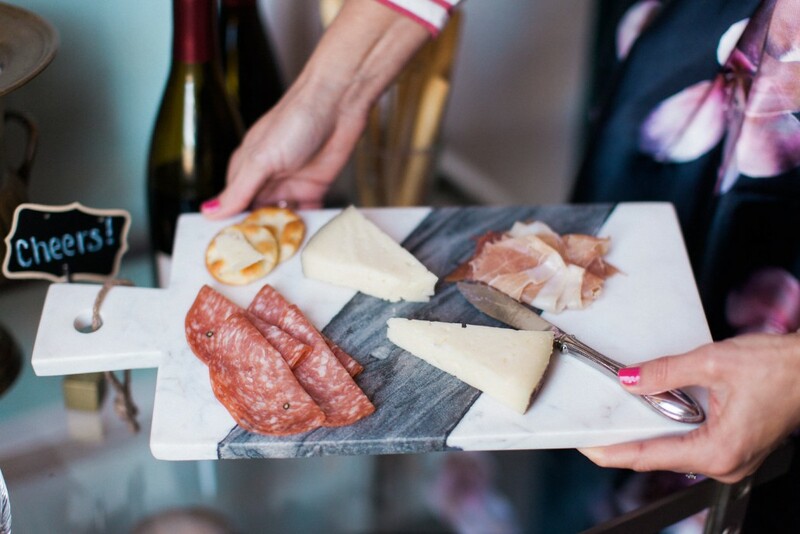 Wisteria’s Marble Cutting Board duals as beautiful serveware for classic bites like cheese, charcuterie and crackers. 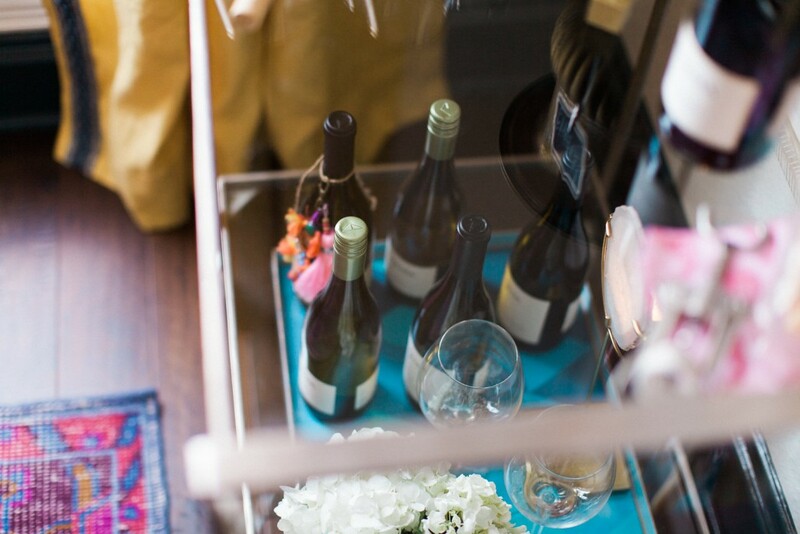 Make sure you include anything guests may need, like a bottle opener and napkins. This wine cart should be self-service! Fresh flowers, candles, and any of your favorite accents are always great additions for ambiance. Like what you see? Enter for a chance to win these two beautiful pieces to embellish your home even more.